Our commercial grade pavilion group grills provide the extra cooking space needed to accommodate large group gatherings such as family and company events. 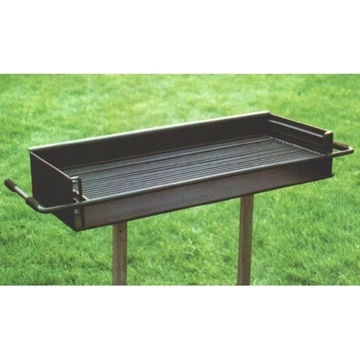 These heavy-duty grills will perform for years in harmful weather conditions as they are constructed of sturdy welded steel. Coated with a high heat resistant black enamel that offers protection from rusting and corrosion. Pavilion group grills are available in a wide array of styles and sizes including cooking surfaces ranging from 300 square in. to 1000 square in. 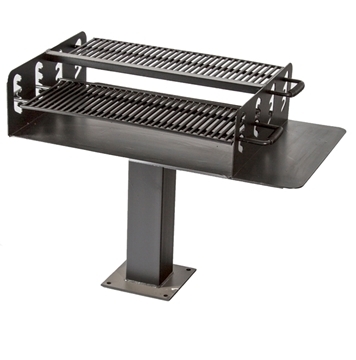 Picnic Furniture's pavilion group grills are proudly crafted in the USA and provided with a commercial warranty.